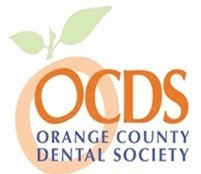 Corona Del Mar Dentist - Orange County Dentist - George Saliba, DDS - Selective Dentistry, Inc. Doctor Saliba graduated in 1994 with a Bachelor's degree in dental surgery from the Universite Libanaise, a private french educated university. In 1997 he furthered his education and received an additional diploma in Oral Biology, while practicing dentistry in his private practice. In 1999 Doctor Saliba further continued his education and received his Master's degree in Pediatric Dentistry and Oral Health Community. In 2000 the Educational Credential Evaluators in Milwaukee, WI, recognized and re-accredited Dr. Saliba's french education and had him submitted for recognition to the Dental Board of California by examination only. An elite, stringent program which is no longer available due to the low success rate for those who have attempted to complete it. To those who know him, Dr. Saliba is considered to be very mild mannered, focused, patient and extremely meticulous, so it came as no surprise when he decided to take on this four year endeavor that everyone warned is impossible. His endeavor started in 2000 and involved one examination per year, advancement to the second, third and fourth year exam can only be achieved if one passes the previous year with a zero error margin. The final exam in 2003 was the successful completion of Restorative and Cosmetic techniques at the University of Southern California - USC. In 2004, Dr. Saliba successfully completed the California Licensure Examination at the University of the Pacific (UOP), San Francisco and was licensed to practice in the State of California. The ethical oath Doctor Saliba took 16 years ago continues to be an integral part of his every day practice. He is considered a leading dental provider by the community he serves including his professional colleagues. Whether it's a consultation, teeth cleaning, fillings or cosmetic crowns, veneers or full mouth reconstruction, you can be assured that your case will be handled with the upmost respect, honesty and most importantly your overall health in mind. "Dentistry is often a very complicated and confusing area of health care for most patients, I consider it my professional duty to educate each patient about periodontal disease and proper oral health first. Careful diagnosis, communication and long-term relationships are essential in achieving the excellent, long lasting results we will achieve together. Early in my career I chose to follow a path of only providing the best my profession has to offer. My private office allows me the flexibility to spend as much time needed with each of my patients, and to work at a pace that is comfortable for my patients. From the diagnosis phase to the treatment phase, I have my patients involved and informed every step of the way by using informative slides, photographs and documented cases. I beleive a well informed patient is empowered to make the best decisions and is more eager to maintain their oral health at home for long lasting results. I respect and enjoy my profession, I receive the same respect and enjoyment back from each patient I see. I can't think of anything more rewarding." What does everyone throughout Orange County say about Doctor Saliba?